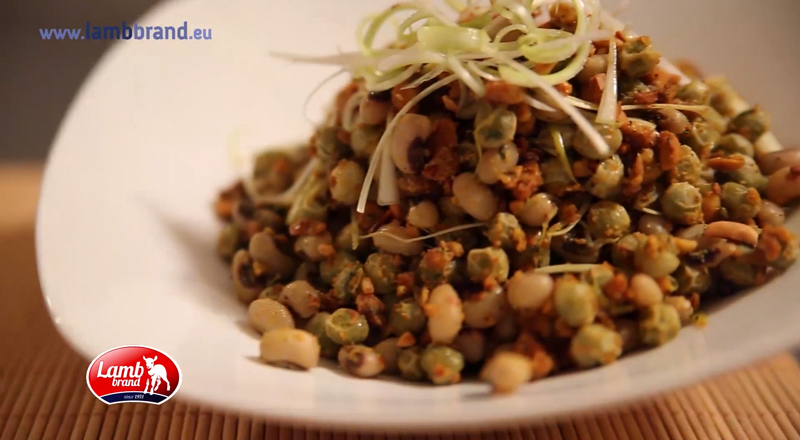 A healthy high in protein with some spicy taste, this pea and almond salad is ideal for the summer period. 1. 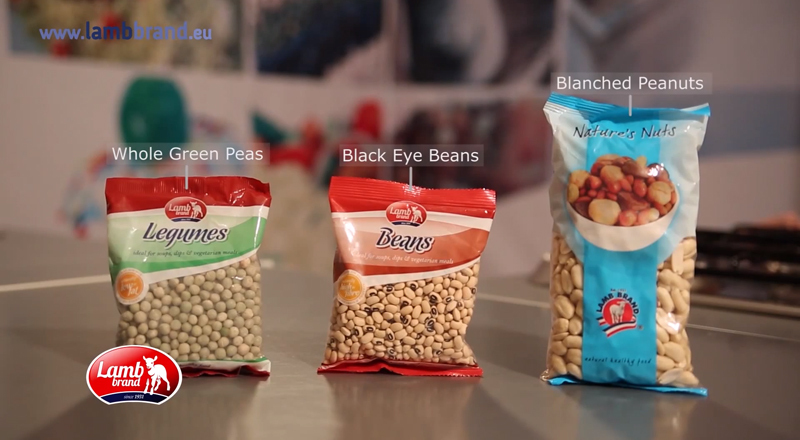 Soak the black eye beans for a minimum of 5 hours or overnight, changing the water from time to time. 2. Rinse, add to small saucepan, cover the beans with water and bring to the boil. 3. Simmer the beans gently till cooked. When the beans are ready drain them and let cool. In the meantime also rinse separately the whole green peas. 4. Add peas to small saucepan, cover with water and bring to the boil. Simmer the peas gently till cooked. When the peas are ready drain them and let cool. 5. In a bowl, combine green onion, almonds, peanuts, black eye beans and whole peas. 6. 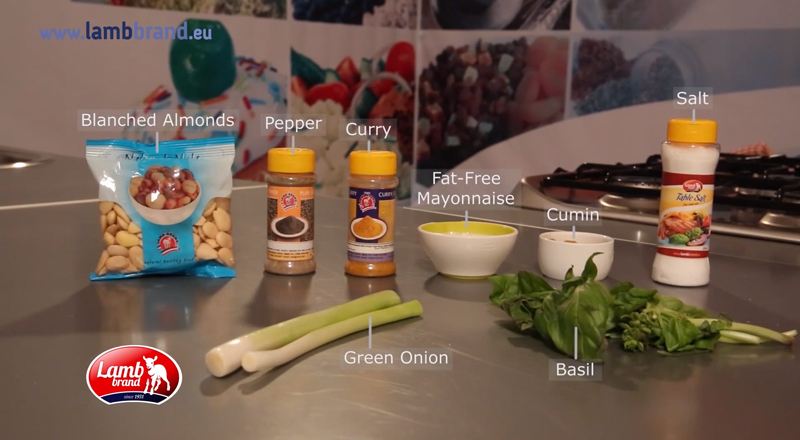 In a separate bowl, mix together the mayonnaise, curry powder and cumin. Add the chopped fresh mint. 7. Gently fold the mayonnaise mixture into bowl with peas and beans. 8. Add salt and ground black pepper to taste.